Call us to find out more info on our amazing summer specials! Closet Creators are professional closet designers in Edmonton that specialize in designing, building and installing fully customized closet organizers and cabinets. Our quality storage solutions and closet doors help you to beautify your space and simplify your life! We offer a wide selection of finishes, accessories and hardware for our closets & doors in order to provide you with the ultimate space to suit your needs and lifestyle to perfection. From functional to fabulous and everything in between we can help you create your perfect space! 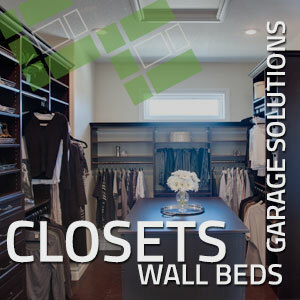 Organize your home with customized storage solutions from a master closet or kitchen pantry to a home office or garage. 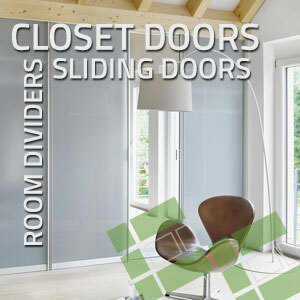 Custom closet doors and room dividers that are modern, functional & will look fantastic in any space! Closet Creators has a brand new showroom in Edmonton! This is a great opportunity to check out our closet designs and custom doors, view our wide selection of closet organizer accessories & hardware, and speak to a Closet Creators design consultant. Not sure what you need? Simply book an appointment and we’ll be happy to consult and show you around the Design Centre.